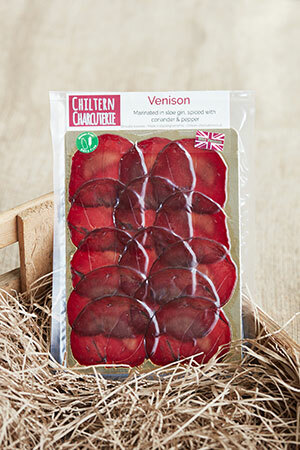 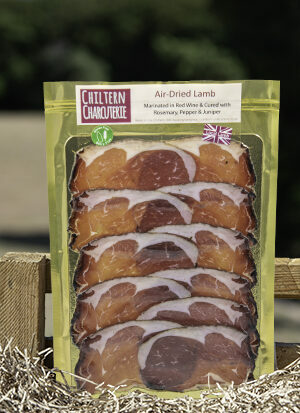 Our delicious Air-Dried Venison would certainly give Rudolph a red nose! 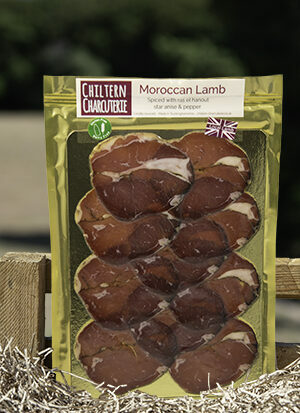 The venison haunch is marinated in a healthy glug of sloe gin from Old Luxters in the Hambleden Valley for 7 days, before the other flavours of juniper berries and coriander are added. 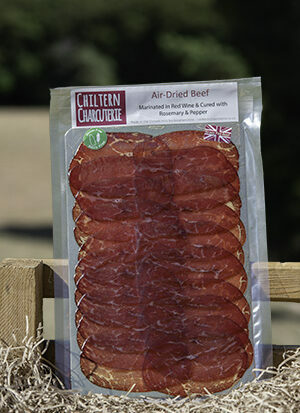 After air-drying, the flavour is surprisingly delicate, with the sloe gin taste helping to cut through the richness of the venison.